Published in Toronto Sun (April 13, 2018). This month's return to regular increases in B.C. 's price on carbon pollution is welcome news. 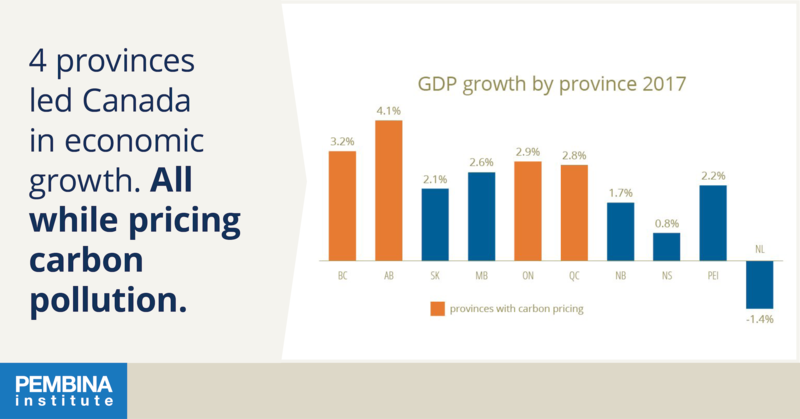 By January 2019, carbon pricing will be in effect across Canada. B.C. 's experience shows a carbon tax can work to lower carbon pollution, and pricing this pollution doesn't prevent economic growth. Between 2008 and 2011 (from the introduction of the carbon tax to its freezing at 2012 levels), emissions per capita from sources subject to the carbon tax in B.C. dropped by 10%, but only 1% in the rest of the country. During this time, B.C. 's economic performance (GDP) was stronger than the national average. Pricing pollution needs to be part of a holistic approach to addressing climate change. To re-emerge as a climate leader, B.C. requires mitigation and adaptation strategies, a plan for achieving significant emissions cuts, and a strategy to better incentivize B.C. 's transition to low-carbon industries. The Toronto Sun published this letter to the editor on April 13, 2018 (page A14).